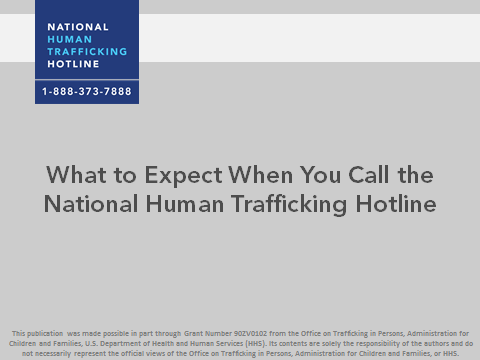 Watch this training to learn about what to expect when you call the National Human Trafficking Hotline. 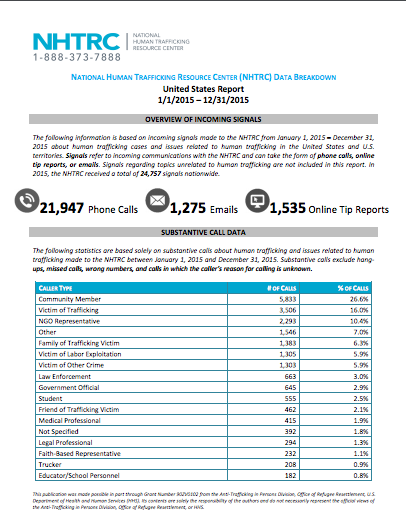 An at a glance document providing information about the services of the National Human Trafficking Hotline. 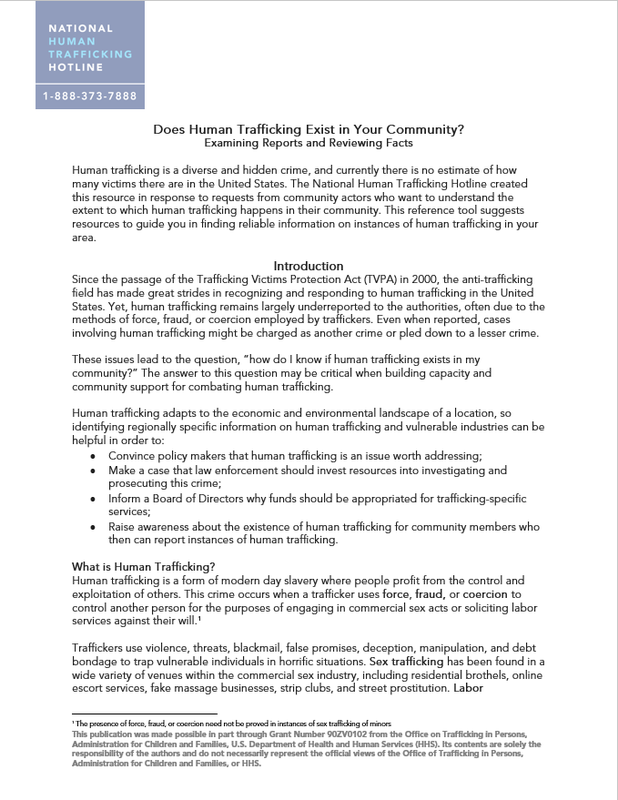 This guide provides an introduction of human trafficking for educators. 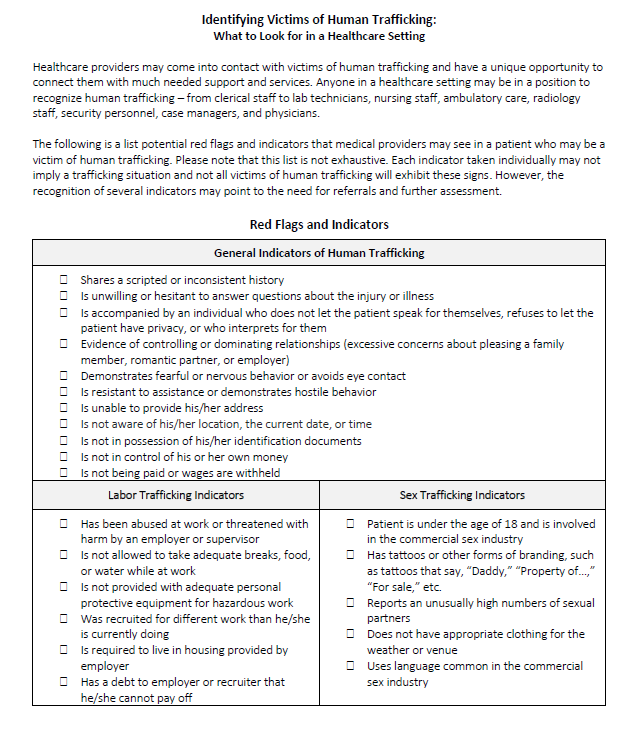 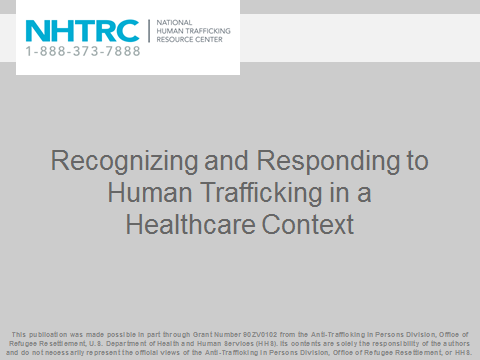 An At a Glance document describing the role healthcare professionals should take in identifying and serving victims of trafficking and describing the short-term and long-term health effects on victims. 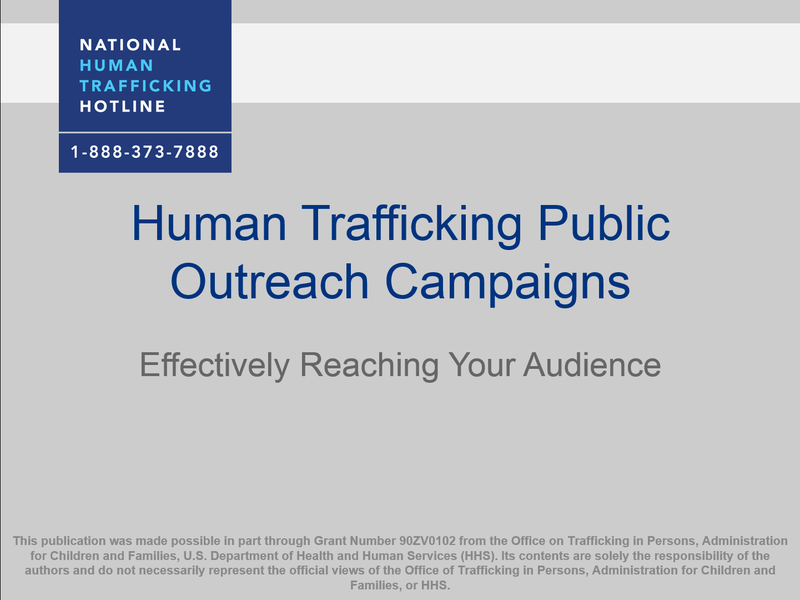 A resource specifically for educators and school-based professionals to help recognize, respond, and prevent human trafficking in an educational context.